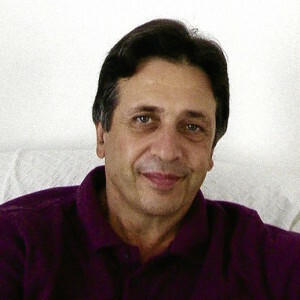 Anthony Strano is Director of the Brahma Kumaris Centres in Greece, Hungary and Turkey. This article is extracted from his booklet The Alpha Point, published by Brahma Kumaris Information Services Ltd, London 1998. Anthony Strano points the way to a conversation with God. When silence is deep, brimming with fullness, when there is no more yearning for sound, when there is complete concentration on One, then thought, like an arrow, finds and melts into its target; there the human soul not only glimpses God, but is absorbed in the purity of that Being; absorbed totally, wholly, absolutely. Filled with the pure light that has now become its being, the soul radiates this energy as peace and love to others; a living lighthouse. Silence is the bridge of communication between the Divine and the divine in the human. Silence is where I find what is most precious. Spiritual silence is the positioning of the heart and mind in readiness for communication with the One. Neither is it communication based on repetitive words, nor on intellectual theories nor on asking for the fulfillment of limited desires. Sacred communication is the harmonizing of the original self with the Eternal One. Spiritual silence gives me energy, pure and selfless, from the Creative Source, to burst out of the cocoon of dust and routine, opening up unlimited horizons of new vision. To release the self from negativity, I require silence. Absorbed in its depths, I am renewed. In this renewal the mind clears itself, facilitating a different perception of reality. The deepest perception of all is my own eternity. The act of silence is as necessary for living as breathing is for physical life. Strength for living necessitates finding a point of stillness from which I begin and to which I return every day: an oasis of inner peace. Silence brings my mental and emotional energy to a point of concentration, where I can be still. Without this inner stillness, I become like a puppet pulled here and there by the many different strings of external influences. This inner point of stillness is the seed of autonomy, which cuts the strings, and then the loss of energy ceases. Silence heals. Silence is like a mirror. Everything is clear. The mirror does not blame or criticize but helps me to see things as they are, providing a diagnosis to release me from all types of wrong thinking. How does silence do this? Silence revives the original peace of the self; a peace that is innate, divine and, when invoked, flows through one’s being, harmonizing and healing every imbalance. Silence is full and it fills; gently, powerfully, consistently active. To create silence, I step within. I connect with my eternal self; the soul. In that place of unblemished tranquility, as if in a timeless womb, the process of renewal and restructuring begins. There, a new pattern of pure energy is woven. In this introspective space I reflect. I recollect what has been forgotten for a long time. I concentrate slowly and gently and as I do so, those original spiritual blueprints of love, truth and peace emerge and are experienced as personal and eternal realities. Through these, quality begins to enter life. Quality is closeness to something purer and truer in ourselves. Quality is the principle for more enlightened thought and for integrity of action. In that space, Silence teaches me how to listen, how to develop an openness to God. Listening guides me into the right position, opening the channel of receptivity. Receptivity aligns me to the reality of God; a very necessary alignment, if I am to truly know and be at one with Him. For receptivity I must clear myself of myself. I must stand clean, bare, simple, stripped of artificiality, then genuine communication begins. As I listen, I receive. As I receive, I feel and reflect, and gradually move into concentration. Concentration is when I am completely absorbed in one thought. Where there is love, concentration is natural and steady, like the still candle flame radiating its aura of light. The thought in which one is absorbed becomes one’s world. When the human mind is absorbed in the thought of God, the person feels resurrected; the harmony of reconciliation is deeply felt. In this silent link of love, one becomes fully reconciled, not as an intellectual process but as a state of being. I awaken. This wakefulness is where I am fully conscious of Truth. Simultaneously I become conscious of the illusions in me and around me and of the effort needed to remove them. This wakefulness enables me to respond and receive what I would not normally notice, either on natural or supernatural levels. In wakefulness, in this heightened state of knowing, a person spiritualises the self; he or she becomes a truer being. Within silence the subtle invisible rays of concentrated thought meet God—this is the power of silence; this is often called ’meditation’. Sound cannot achieve this meeting with God. Sound can only praise and glorify, through song or chant, the closeness of union with the Divine; but it cannot create it. Only silence creates the practical experience of union. Concentrated silence is the wordless focus of pure attention on One. Love for that One makes the focus easy and steady, fulfilling. This closeness of the self with the Supreme inevitably inspires the desire for change in the self; inspiration to better the self, to make the self worthy by fulfilling the original potential and, where one can, sharing the fruits of that realized potential with others. This sharing is not achieved through saying a lot, but rather through the integrity of personal example. In silence, the deepest orientation of consciousness is the desire to achieve personal perfection. This desire is a result of the divine flow of energy entering the human consciousness and inspiring belief in one’s own worth. Personal perfection is accepted as being possible. It’s the faith given by God as a gift to the soul. The possibility of perfection is accepted because the soul knows it is not alone in its effort, it constantly has the support of Divine Love to achieve its goal. In its connection with God, the soul is filled and feels itself complete; it has found what it was looking for. Divine Love works especially through silence; the soul is awakened from its sleep of ignorance and given new life, as in the story of Sleeping Beauty. The soul is the Sleeping Beauty, God is the prince and ignorance is the witch who casts her magic spell of slumber upon the princess. God’s love for the soul is such that it is not stopped by any darkness or barrier but reaches the soul to awaken it, bringing it back to life, back to reality. Love breaks the iron spell.